The longest part is waiting for the pasta water to boil. Bring water to a boil for your pasta and cook according to package. 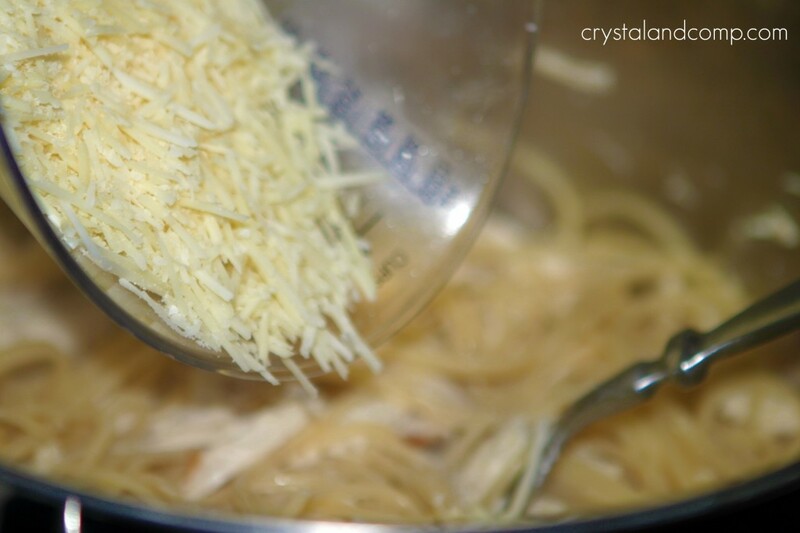 The last two minutes or so of cooking, toss in your shredded or diced chicken to heat it up. When you drain the pasta and chicken hang on to one cup of pasta water. 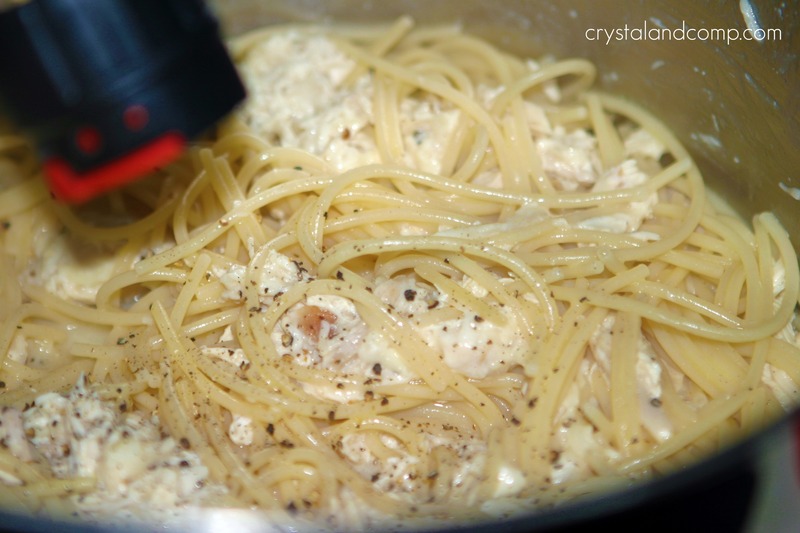 Return pasta, chicken and reserved water to the cooking pot. Toss with two forks or a set of tongs to mix everything together. Toss everything until well blended. Plate the pasta up and sprinkle with parsley. Perfect with a dinner salad and french bread, or all by itself! Crack some pepper over top. Toss again. 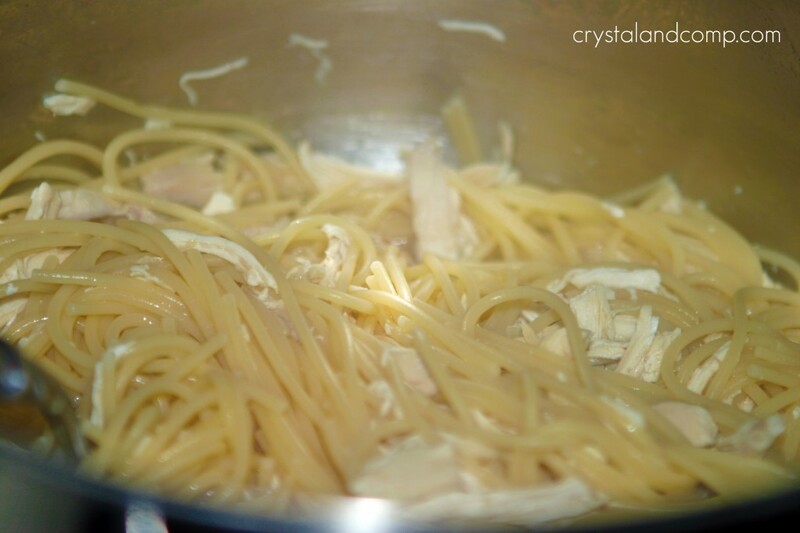 If you have no leftover chicken in the fridge, grab a rotisserie chicken from the deli. YUM! This is making my mouth water. Pinned it – and will probably make it for dinner tomorrow night. Thanks! I do this frequently, but never thought to add chicken to it! A great way to get more protein for sure! Thanks! My site was down all afternoon yesterday. There were server update issues. 🙁 Everything is fixed now. I am so glad you came back. And this is a tasty recipe. I always love your recipes!!! Wow, what an amazing compliment. 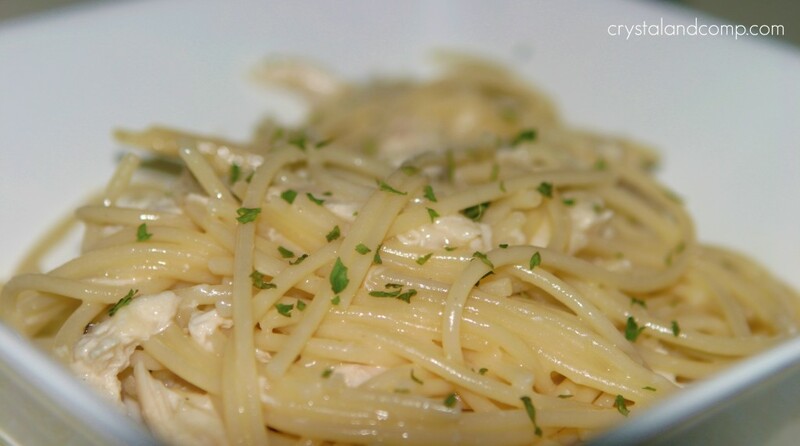 Chicken & pasta are always a hit in our house! I bet this would be great for leftovers too. I stopped by this week end to leave you a comment and never could get your site to come up, but I see it is working fine today. 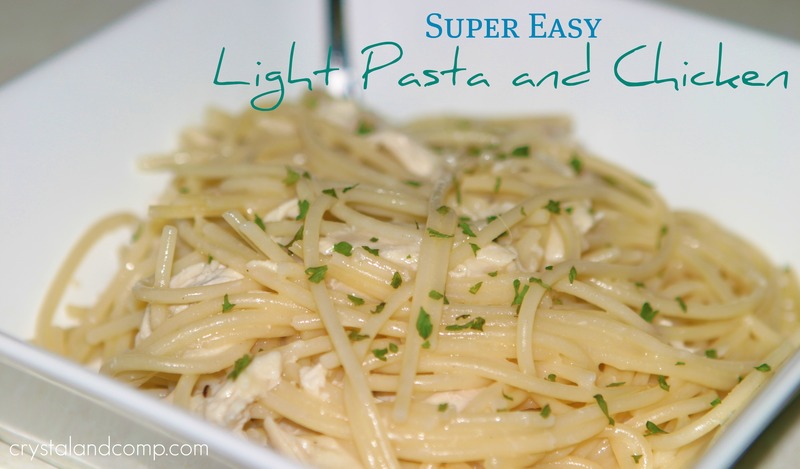 Your recipe for the light Chicken and Pasta is wonderful, I just love a dish like this. Thank you so much for sharing with Full Plate Thursday. Hope you have a great week and come back soon! Just made this tonight – it was great! Thanks for sharing the recipe. Yay! Glad it was a hit, Meg. Have an awesome weekend and thanks for the feedback.